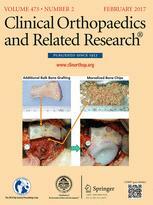 Structural hip deformities including developmental dysplasia of the hip (DDH) and femoroacetabular impingement (FAI) are thought to predispose patients to degenerative joint changes. However, the natural history of these malformations is not clearly delineated. 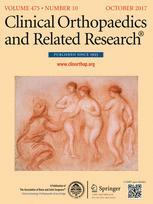 (1) Among patients undergoing unilateral THA who have a contralateral hip without any radiographic evidence of hip disease, what is the natural history and progression of osteoarthritis in the native hip based on morphological characteristics? (2) Among patients undergoing unilateral THA who have a contralateral hip without any radiographic evidence of hip disease, what are the radiographic parameters that predict differential rates of degenerative change? We identified every patient 55 years of age or younger at our institution who received unilateral primary THA from 1980 to 1989 (n = 722 patients). Preoperative radiographs were reviewed on the contralateral hip and only hips with Tönnis Grade 0 degenerative change that had minimum 10-year radiographic followup were included. A total of 172 patients met all eligibility criteria with the following structural diagnoses: 48 DDH, 74 FAI, and 40 normal morphology, and an additional 6% (10 of the 172 patients) met all eligibility criteria but were lost to followup before the 10-year minimum. Mean age at the time of study inclusion was 47 years (range, 18–55 years), and 56% (91 of 162) of the patients in this study were female. Mean followup was 20 years (range, 10–35 years). Radiographic metrics, in conjunction with the review of two experienced arthroplasty surgeons, determined the structural hip diagnosis as DDH, FAI, or normal morphology. Every available followup AP radiograph was reviewed to determine progression from Tönnis Grade 0 to 3 until the time of last followup or operative intervention with THA. 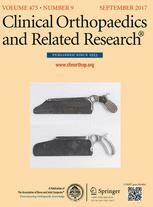 Survivorship was analyzed by Kaplan-Meier methodology, hazard ratios, and multistate modeling. Thirty-five patients eventually underwent THA: 16 (33%) DDH, 13 (18%) FAI, and six (15%) normal morphology. Degenerative change was most rapid in patients with DDH followed by FAI and normal morphology. 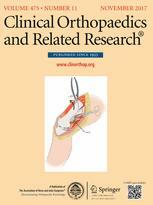 Among patients who recently developed Tönnis 1 degenerative change, the probability of undergoing THA in 10 years based on hip morphology was approximately one in three for DDH and one in five for both FAI and normal morphology hips, whereas the approximate probability at 20 years was two in three for DDH and one in two for both FAI and normal morphology hips. The likelihood of radiographic degeneration was increased in patients with the following findings: femoral head lateralization > 8 mm, femoral head extrusion index > 0.20, acetabular depth-to-width index < 0.30, lateral center-edge angle < 25°, and Tönnis angle > 8°. Degenerative change occurred earliest in patients with DDH, whereas the natural history of patients with FAI was quite similar to structurally normal hips. 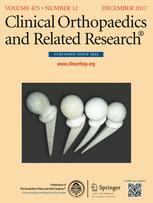 However, patients with cam deformities and concomitant acetabular dysplasia developed osteoarthritis more rapidly. Although the results of this study cannot be directly correlated to highly active patients with FAI, these findings suggest that correction of FAI to a normal morphology may only minimally impact the natural history, especially if intervention takes place beyond Tönnis 0. Analysis of radiographic parameters showed that incremental changes toward dysplastic morphology increase the risk of degenerative change.